The name Loving Shepherd is new, but not the congregation. Loving Shepherd Ev. Lutheran Church was established in 2001 when St. John’s Ev. Lutheran Church and North Trinity Ev. Lutheran Church merged after operating a joint school for more than 25 years. St. John’s was founded by nine families on July 30, 1863, in what was a rural area located on what is now known as Good Hope Road. The area was occupied by immigrants whose proud profession was farming. God blessed St. John's with only 9 different pastors over its 147 years of existence. During that long period, one of these pastors (Pastor A. Carl Auerswald, 1900 - 1904) served both St. John's and North Trinity. North Trinity was established on May 28, 1893, to meet the needs of Milwaukee as it continued to expand to the north. For over 100 years, North Trinity served the community from its location on the corner of North 37th Street and West Custer Avenue. The congregation was served by two of its nine pastors for nearly 70 years; Pastor Arnold Schultz served from 1908-1951 and Pastor Marcus Liesener served from 1951-1977. In 1957 North Trinity began a Christian Day School under the leadership of Mr. Richard Schlavensky. Initially, classes were held at Redemption Lutheran School (38th and Thurston). On October 18, 1959, North Trinity dedicated its new school on N. 35th Street. In the following years the school grew, and three additional classrooms and a library were built in 1981. In the late 1980's enrollment reached almost 250 students. 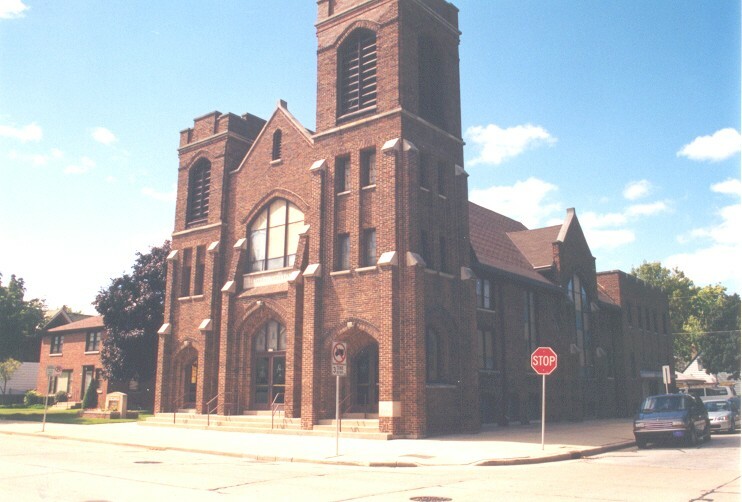 The 1990's saw many changes in the metropolitan congregations of Milwaukee which prompted North Trinity and St. John's to evaluate their ministry. Neither congregation wanted to desert the community, but desired to continue to serve the many members living in this area and to reach out in a cross cultural ministry to all others. Late in 1999 the two congregations began regular talks and early in 2000 the idea of merging the two congregations and building a new school was presented to the two congregations. On January 14, 2001, the vote to merge was held in the two congregations. There were only six dissenting votes. On March 18, 2001, the newly merged congregation adopted the name "LOVING SHEPHERD EV. LUTHERAN CHURCH." The decision was made to locate at the St. John’s site and add to the church a new entryway with an elevator to all levels, new church offices and a new school complete with seven classrooms, computer lab, gymnasium and space for an early childhood program. 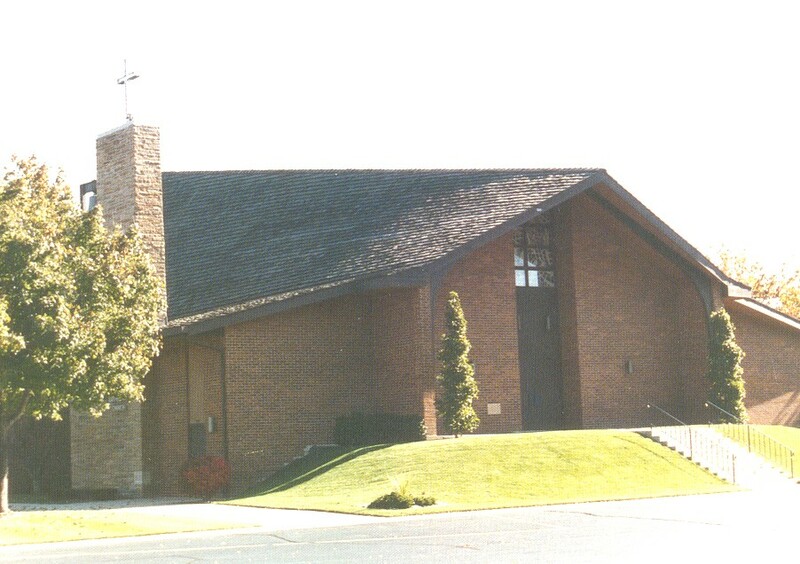 The new building was dedicated on April 28, 2002, and serves the needs of the Loving Shepherd Congregation very well. In the nine years since the merger the Lord has blessed Loving Shepherd with new members each year, numerous organizations, a school with a steady enrollment and as of 2009, a state licensed Daycare program. Please take a few minutes to explore our church and school and what we have to offer.